Do I understand correctly? 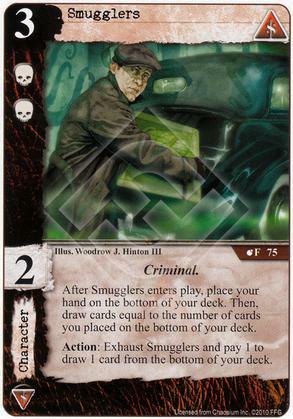 The amount of cards you have placed on the bottom of your deck up until you play Smugglers, is the amount you draw from the bottom when he enters play? No, it's the amount you just placed, Cthulhu has no memory to know whether you've placed cards on the bottom earlier or not. You put your hand on the bottom and draw the same number back.